If you are a football fan, you'll certainly want to consider attending Montreal's Percival Molson Memorial Stadium to catch a home game for Montreal Allouettes CFL team. 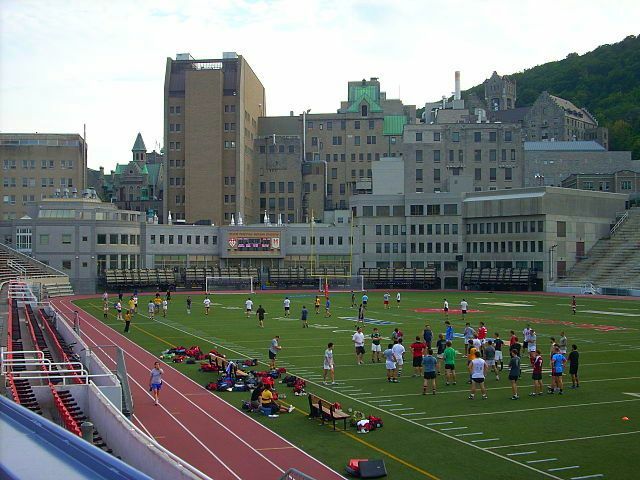 The Percival Molson Memorial Stadium is an outdoor stadium situated near the base of Mount Royal on the McGill University Campus just north of downtown Montreal. 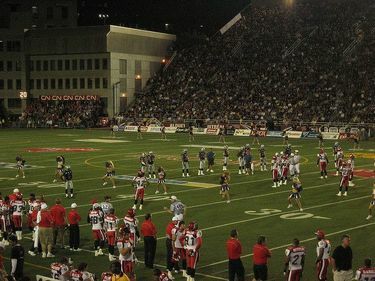 It is home to the Montreal Alouette CFL team.outdoor stadium is situated near the base of Mount Royal on the McGill University Campus just north of downtown Montreal. The university also owns and operates the stadium. Originally inaugurated in 1914 the Stadium was renovated and expanded in 2009. It now has seating for just over 25,000 fans. If you are visiting Montreal during the football season from June to November, why not take in one of the exciting Montreal Alouette CFL games. Tickets start at less that $30CAD. For even less you can enjoy a University League game when McGill Redmen are playing one of their home games. Fee: Yes - The ticket office is located 1260, rue University #200 and the hours are Mon-Fri 8:30am-5:30pm. STM operates a free shuttle bus beginning 2 hours before ending 1 hour after Montreal Allouette games from both of the above stations. Shuttle map and details can be viewed here. It is also possible to walk straight up University Street from McGill Station to the University Street Entrance in about minutes.